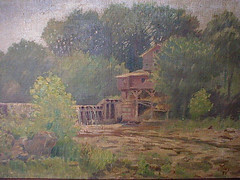 [Mill by a River]. 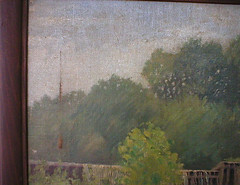 An oil painting (1899). 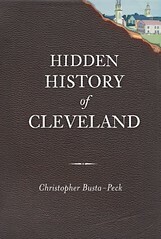 Used courtesy of a private Cleveland area collector. Ages ago, when I began assembling material for the exhibition I curated for the Cleveland Artists Foundation on the life and work of I.T. Frary, I asked if you, my readers, might have some of his paintings in your collections. The exhibition, Designing History: I.T. Frary; Interior Design and the Beginnings of Historic Preservation in Ohio traced Frary's career, from his beginnings in art school, through the work that he did as an artist and interior designer, to his landmark book, Early Homes of Ohio, published in 1936, which remains the best general work on historic architecture in this state. Smith House, Adams Mills, Ohio A watercolor painting (1904). From the collection of Jim Oswald. A couple great watercolor paintings had remained in the Frary family. H.A. Smith House, Adams Mills A watercolor painting (1905). From the collection of Jim Oswald. 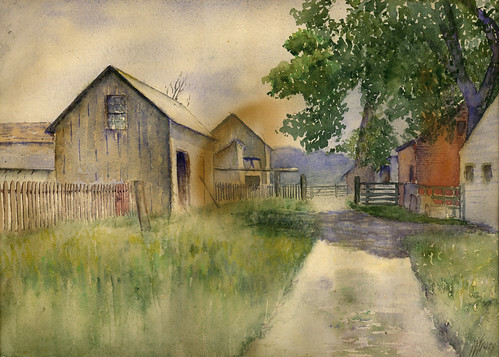 They depict the landscape in Adams Mills, in Muskingum County, Ohio, where Frary's wife's family lived. Zoar A watercolor painting (1898). 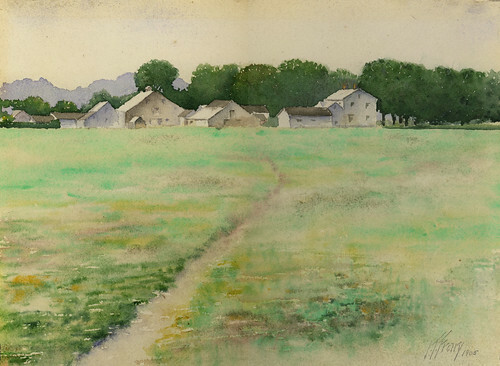 Collection of the Cleveland Artists Foundation..
Another watercolor, the only one in private hands outside the Frary family, depicts a scene in Zoar, Ohio. It is now in the collections of the Cleveland Artists Foundation. Frary made the painting while a student of F.C. Gottwald. Still, I knew that there had to be more of his paintings out there. Frary had exhibited dozens, at the least - and they were good paintings. They couldn't have all disappeared, could they? Then, a few months ago, I received and email from a private collector, who had purchased this oil painting at an estate sale years ago. 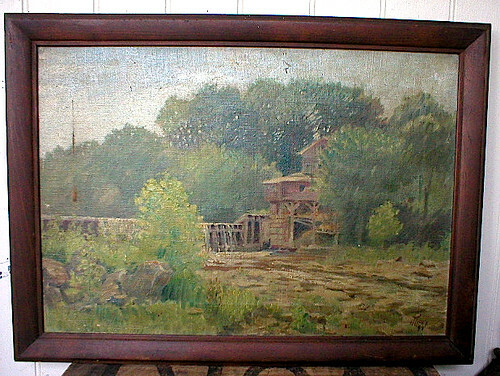 It's the first oil painting that I've found by Frary - and I can't figure out where the scene is! We know that I.T. 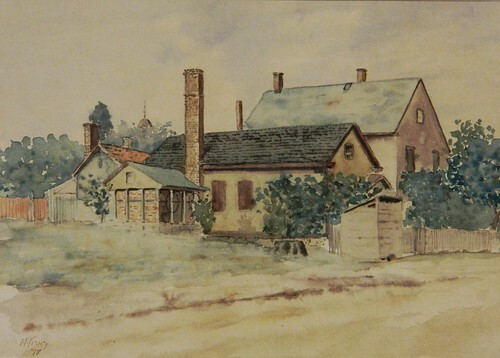 Frary painted in the vicinity of Zoar, Chagrin Falls, and Adams Mills, Ohio. Could it be one of these, or possibly something in the vicinity of Cleveland? What do you see? Here are a couple details, with the hope that they may help in the identification of the piece.